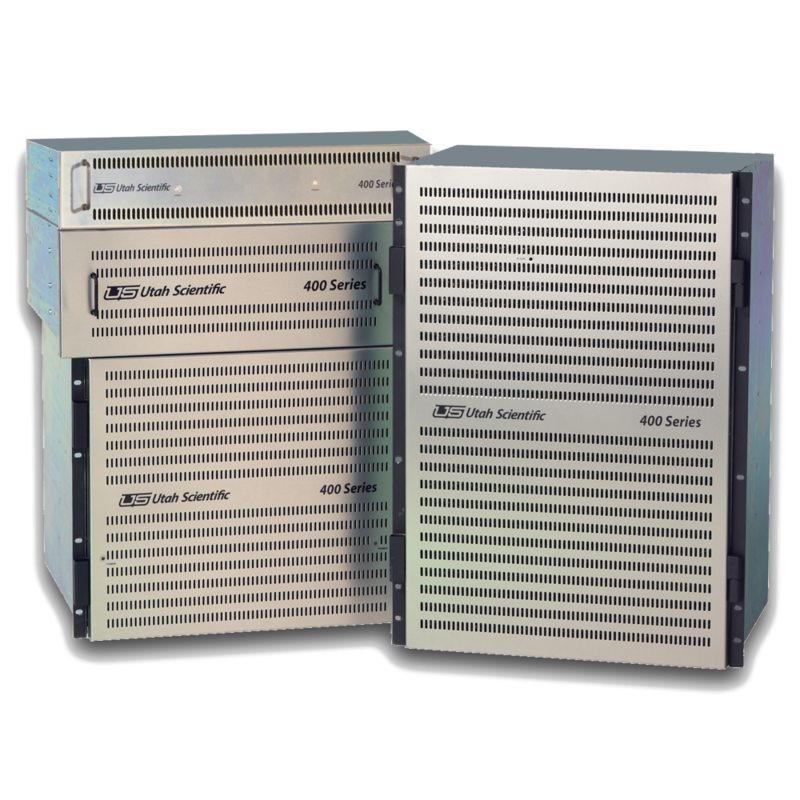 The UTAH-400 Series 1 was developed to provide a single platform for all digital enterprise router applications from very small to extremely large matrix configurations while handling all digital signal formats. Thanks to an innovative matrix architecture the UTAH-400 is readily scale-able from 8 x 8 to 1152 x 1152 and beyond using a single family of matrix building blocks. In addition to this flexibility of configuration, the UTAH-400 Series 1 offers tremendous reductions in the physical space and power consumption requirements typically needed. 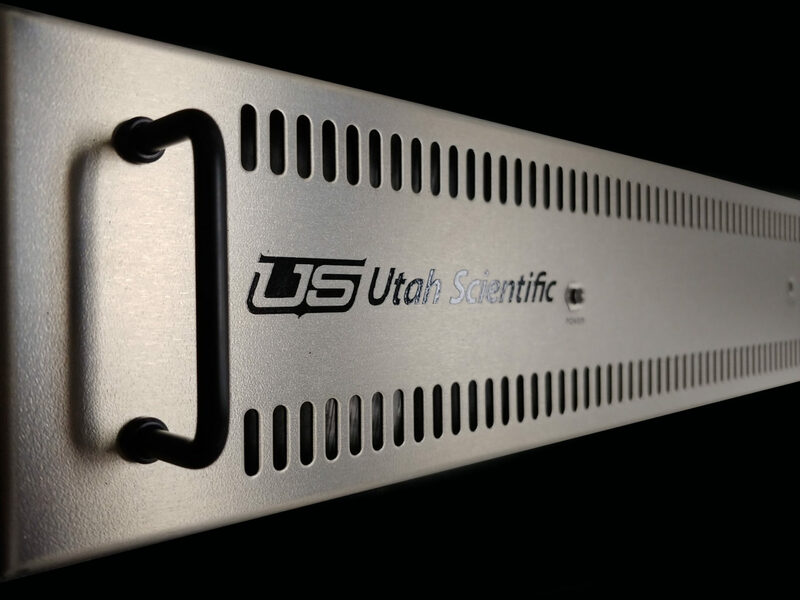 The UTAH-400 Series 1 uses a 3-board architecture consisting of an input board, a crosspoint board, and an output board. All frames and internal signal distribution components are designed for HD signal compatibility, providing full insurance that an SD system can be upgraded to 3G HD operation by simply exchanging the signal I/O modules. The UTAH-400 family consists of audio and video frames for 32 x 32, 64 x 64, 144 x 144, and 288 x 288 matrix sizes. same logic facilities, the system can check for signal presence on the active input when it detects loss of signal on an output before sending an alarm to the operator. 1.5Gbps and 3Gbps 300 ft.